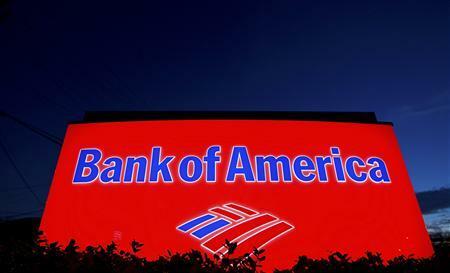 (Reuters) – The U.S. government on Tuesday filed two civil lawsuits against Bank of America that accuse the bank of investor fraud in its sale of $850 million of residential mortgage-backed securities. According to the lawsuits, Bank of America made misleading statements and failed to disclose important facts about the mortgages underlying a securitization named BOAMS 2008-A. More than 40 percent of the 1,191 mortgages in the securitization did not comply with the bank’s underwriting standards, according to the complaint. “These misstatements and omissions concerned the quality and safety of the mortgages collateralizing the BOAMS 2008-A securitization, how it originated those mortgages and the likelihood that the ‘prime’ loans would perform as expected,” the Justice Department said in its statement. “It has been shown repeatedly that the origination process at Bank of America and its subsidiaries failed to live up to their own internal guidelines and the resulting loans did not reflect the way they were characterized to investors,” said Donald Hawthorne, a partner at Axinn Veltrop & Harkrider LLP, who has represented monoline insurers and RMBS investors in suits against mortgage originators, including Countrywide, relating to mortgage securities. In 2011, the bank’s shares fell more than 20 percent in a single day after American International Group filed a $10 billion lawsuit accusing the bank of mortgage fraud. Weeks later, Warren Buffett’s Berkshire Hathaway Inc swooped in with a $5 billion investment to shore up confidence in the bank. Since then, Bank of America’s stock has more than doubled as the bank has announced agreements to settle major disputes, and investors have regained confidence in its outlook. The lawsuit signals the federal government’s willingness to pursue litigation challenging banks securitizations and marketing practices even as the financial crisis recedes further into the past. The Justice Department’s lawsuit was brought under the Financial Institutions Reform, Recovery and Enforcement Act, a savings-and-loan-era law that federal prosecutors have revived in recent years to continue pursuing civil fraud charges against financial institutions. It has a 10-year statute of limitations, double the deadline under other securities fraud laws. The U.S. attorney’s office in Manhattan brought a separate suit against Bank of America under that act last October over losses that Fannie Mae and Freddie Mac suffered on loans the government said were deficient. “Is this the first shot across the bow in terms of a larger campaign or is it trying to satisfy the press that the federal government is awake at their station but really only taking aim at a very small piece of a very big problem?” Hawthorne said.